"Friends of Putin" won in Czech elections: How dangerous is it for Ukraine? Nine different political forces overcome five percent barrier at the parliamentary elections in Czech Republic. A convincing victory was demonstrated by the centrist party ANO 2011 ("Action of Dissatisfied Citizens", created in 2011) by the oligarch and former finance minister, Deputy Prime Minister Andrey Babish, who gained 29.64% of the vote. The party will be able to increase its presence in the parliament from 47 to 78 seats. This week, Czech President Milos Zeman will give Andrey Babish the mandate to form a new government. To form the majority, it is necessary to take 101 seats in the parliament. The question of forming a coalition remains open. Ambassador of Ukraine to the Czech Republic Yevhen Perebuynis believes that after the elections Czech Republic can preserve the pro-European and pro-Ukrainian course, since, in his opinion, there are also enough supporters of Ukraine in the ANO 2011 party. The diplomat is convinced that there are enough options for the formation of a pro-European government in the Czech Republic for further support of Ukraine. Babish himself takes a peculiar position regarding Ukrainian crisis. Like the President of the Czech Republic, Milos Zeman, he considers the annexation of Crimea a fait accompli and sees no sense in the current anti-Russian sanctions. We recall that in mid-October, the Czech president called the annexation of Crimea "complete business" and invited Russia to pay reparations to Ukraine in cash or in the form of oil and natural gas supplies. Andrey Babish adheres to perhaps the most moderate position on the Ukrainian issue, unlike some parties that first appeared in the Czech parliament. The parliamentary elections ended with fiasco for the ruling political forces of the Czech Social Democratic Party of Prime Minister Boguslav Sobotka (7.27%, 15 seats) and the Christian Democratic Union (5.8%, 10 seats) of the Deputy Prime Minister Pavel Belobradec, who, following the results of the 2013 elections, occupied the lion's share of seats in the parliament. These parties supported the scenario of a peaceful settlement of the military conflict in Donbas and did not recognize the annexation of Crimea. While these parties were in power, the Czech Republic supported the extension of anti-Russian EU sanctions. This year, the Communist Party of the Czech Republic and Moravia (7.76%, 15 seats), which supports the withdrawal of the Czech Republic from the EU and NATO, the abolition of anti-Russian sanctions, for the first time bypassed Social Democrats by the number of votes. For moderate conservatives, "TOP-09" of Miroslav Kalousek and STAN ("Mayors and Independents") voted 5.31% and 5.18% of Czech citizens. These parties will receive 11 seats in the Czech parliament. Former Czech Foreign Minister and member of the "Top-09" party Karel Schwarzenberg is one of the most authoritative supporters of Ukraine in the EU. The preferences of the Czech electorate may seem paradoxical. With the Social Democrats in the Czech Republic, there was a dynamic economic growth, an increase in wages and a reduction in unemployment. According to the head of the Bureau of Friedrich Ebert Fund in Prague Anna Seifert, the Social Democrats did not pay attention to issues of interest of the Czech youth, residents of the capital and large cities. They do not have approaches to organizing the processes of globalization in the field of the diffusion of digital technologies in the Czech Republic, there is no strategy in the field of climate change and ecology, there are not enough young people on leadership positions in the party, there is no parity of the sexes. Seifert is convinced that the regional structures of the "Czech Social-Democratic Party" are headed by the old-school politicians who are engaged in corruption. The Czech electorate is concerned about the EU migration crisis and does not want the government to make concessions to the European Commission and accommodate Muslim refugees, according to existing quotas. Of the 1,600 refugees, the Czech Republic accommodated only 12 people. 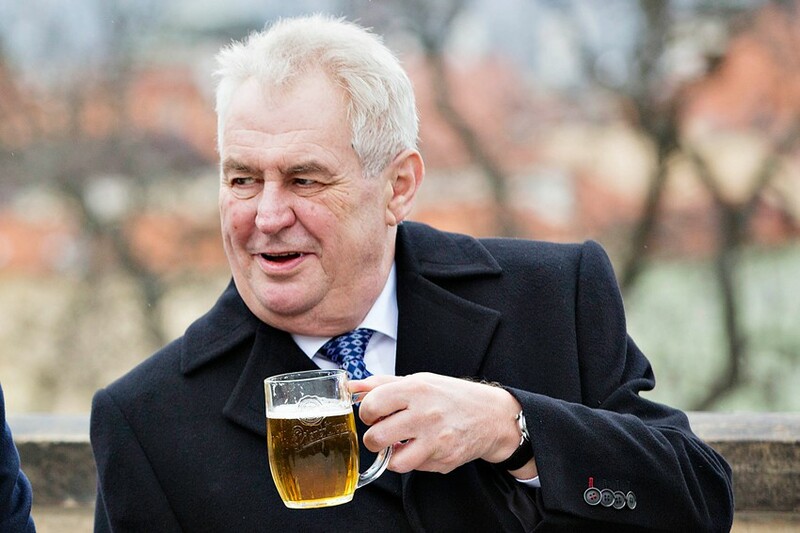 According to Czech President Milos Zeman, the refugees bear a terrorist threat. Czech society does not welcome the reluctance of Muslims to integrate into European society, which threatens the national identity of the Czechs. According to the CVVM survey, 61% of Czechs are against the placement of refugees in their country. Despite the fact that Andrey Babish is often compared to US President Donald Trump or former Italian Prime Minister Silvio Berlusconi in the media, the winner of election is more like the Ukrainian businessman Rinat Akhmetov, the sponsor of the Party of Regions, who defended the interests of large industrialists focused on the Russian market. Andrey Babish is one of the richest people in the Czech Republic with a fortune of $ 4 billion and owns Agrofert holding, which has assets in the fields of agriculture, food industry, chemical industry, construction, energy and mass media. With the money of the holding company, he financed the election campaign of his party. Andrei Babish positions himself as an ideologically uninterrupted technocrat who does not belong to either the right or the left. In its political program, the ANO 2011 Party focuses on solving problems of Czechs, adapting itself to the mood of the Czech electorate. Babish promised to tighten the migration regime and eradicate corruption from the public sector. As finance minister, he opposed the deployment of refugees in the Czech Republic. Babish proposes to reform the state apparatus: to abolish the Senate and reduce the number of deputies in the parliament. In foreign policy, Andrey Babish will be inclined to maintain a balance in relations with the EU and Russia. The leader of ANO 2011 is cautious about strengthening the influence of supranational bodies of the EU. Babish does not support the introduction of the euro and the deepening of European integration. He considers his ally the leader of the "Austrian People's Party" Sebastian Kurz, a moderate Eurosceptic whose political power won in the recent parliamentary elections. They can act as a united front with Hungarian Prime Minister Viktor Orban, Prime Minister of Poland Beata Shidlo against the policy of "open doors" for refugees, in favor of reforming the EU and increasing the influence of national governments on decisions taken. It's no wonder why a Czech billionaire is ready to turn a blind eye to Russia's aggression in Ukraine. The ANO 2011 party is considering the possibility of developing a new strategy for relations with Russia, for the sake of strengthening European security. Apparently, Babish will defend the interests of the Czech business, which suffered losses due to anti-Russian sanctions. In 2013-16 years, the turnover of Russia and the Czech Republic fell by 61% - from 13.9 to 5.4 billion euros. The Russian market is attractive to Czech machine builders, who supply cars, equipment and vehicles (71% of shipments to Russia). Russia supplies energy resources to the Czech Republic (83.1% of Russian exports). According to the publication of Russia Insider, firms associated with Andrey Babish are buying oil and fertilizers from Russian producers. Russian business has interests in the Czech nuclear power sector. The Russian company TVEL is the only supplier of fuel elements for the Dukovany and Temelin nuclear power plants. Russian enterprises Atomstroyexport and Gidropress took part in a tender for the construction of two power units of the Temelin NPP, which was canceled in April 2014. A few months before the election, MP Ivan Gabal of the Christian Democratic Union Party warned that the Kremlin was trying to influence the political processes in the Czech Republic through agents of influence with the aim of achieving a change of power in the country. A certain role in the victory of the ANO 2011 party in the parliamentary elections was played by President Milos Zeman, who has reputation as a pro-Russian politician and supports the abolition of anti-Russian sanctions. Milos Zeman supported Andrey Babish in a conflict with the premier Boguslav Sobotka, who wanted to knock out the ANO 2011 party from the pre-election race. In early May, Sobotka announced the resignation of his government due to the fact that Finance Minister Andrey Babish was suspected of financial fraud. Journalist Katerina Safarikova is convinced that for three years finance minister Babish managed to double the revenue of the Agrofert holding, since this company received the most subsidies from the European Union. According to the Guardian, Agrofert Holding received 30 million kroons from the EU budget in 2012-16. According to Sobotka, the businessman did not pay taxes on the turnover of Agrofert, bypassing the laws. Sobotka wanted to overshadow his party's image before the elections. However, Zeman refused to resign the government at the request of Sobotka. Babish himself left the ministerial post and began preparations for the elections. The new Minister of Finance was his fellow party member, Chairman of the Economic Committee of the Parliament Ivan Pilny. According to the Institute of the Memory of the Slovak Nation, Babish is associated with the special services of socialist Czechoslovakia, which were accountable to the KGB. He was a trustee of the State Security Service after joining the Communist Party in 1980. In 1982 he was registered as an agent with the call sign "Buresh". He tracked international exhibitions and fairs in Bratislava for the activity of foreign intelligence services. Andrey Babish is profitable for the Kremlin on the prime minister's post. In the Czech Republic, all powers in the sphere of foreign policy are concentrated in the hands of the government, and the president performs representative functions. Czech and Russian businesses expect ANO 2011 to be able to influence the mitigation or cancellation of anti-Russian sanctions that affect their interests. Although there are supporters of a tough line against Russia among the ANO 2011 functionaries. In 2014, Defense Minister Martin Stropnicki supported the introduction of anti-Russian sanctions. In the ranks of ANO 2011 is the deputy of the European Parliament Pavel Telichka, who has a reputation as a critic of Russia and a supporter of the policy of sanctions. 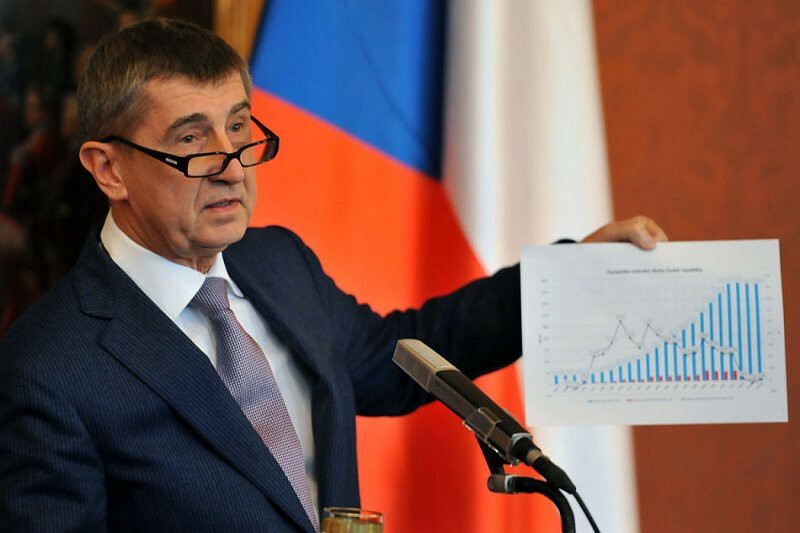 According to the results of the parliamentary elections, the Eurosceptics and the far right which are directed to populism and the idea of rapprochement with Russia, will take strong positions in the Czech parliament. 11.32% of Czechs voted for the "Civil Democratic Party" of political scientist Petr Fiala. This political force will get 25 seats in the parliament. This party, like ANO 2011, does not support the entry of the Czech Republic into the EU area, the deepening of European integration. The party does not have a clear position on the Ukrainian crisis. The founder of the "Civil Democratic Party" former Czech President Vaclav Klaus occupies an anti-Ukrainian position, has a reputation as a friend of Russia and is a famous Eurosceptic. In September 2014, he called Ukraine an artificial state. He believes that Russia's aggressive actions are justified, and the West is the culprit of the military conflict in the east of our country. Klaus is convinced that the anti-Russian sanctions of the West are meaningless and will not give any effect. At the same time, according to the publications, after the beginning of Russia's aggression in Ukraine, conservatives from the "Civil Democratic Party", including Peter Fiala, compared the annexation of Crimea with the invasion of Hitler into Czechoslovakia, declared the absurdity of lifting sanctions from Russia to the return of the peninsula to Ukraine, condemned the pro-Russian policy of Zeman. The parliament also received the ultranationalist party "Freedom and Direct Democracy" of entrepreneur Tomio Okamura (10.64%, 22 seats). Ultranationalists are in favor of holding a referendum in the Czech Republic on withdrawal from the EU, rapprochement with Russia. They want to close the borders of the Czech Republic for refugees and migrants. Despite the fact that Okamura himself is of Japanese-Korean origin, he is a convinced Islamophobe, an opponent of gypsies and labor immigration. He condemns the Ukrainian labor migrants who work in the Czech Republic, accuses the Verkhovna Rada of fascism, supports the abolition of anti-Russian sanctions. Populist is sure that Ukraine allegedly never existed as an independent state. According to his brother Christian Democrat Hayato Okamura, Tomio acts in the interests of the Russian government and will do anything to weaken the EU. 22 seats in the Czech parliament were given to the "Pirate Party" of former programmer Ivan Bartosh. 10.79% of Czechs voted for them. They support introduction of free Internet, direct democracy, the sharing of responsibility for decisions between the government and Czech citizens and the legalization of light drugs. The party was mostly voted by the youth. Bartosh supports the idea of equality of all EU member states in terms of distribution of finances, quotas in supranational bodies and in matters of free movement of citizens. He opposes Islamic extremism and considers Russia a threat. At the same time, some of his associates took part in pro-Russian actions, which also speaks of the ambiguous position of the "Pirate Party" on the Ukrainian question. "The Czech Social Democratic Party" and its partners from the liberal bloc refused to join the ANO 2011 party until the investigation into the involvement of Andrey Babish in financial fraud is completed. Although, the cumulative number of seats (36) in the Czech parliament, which occupied liberal parties, would be enough to form a parliamentary majority with ANO 2011. The leader of the "pirates" Ivan Bartosh believes that his party is ready not only to be an active opposition, but also to support rational proposals. However, the "pirates" do not have enough seats in parliament to create a coalition with the Babish party. Andrey Babish denies the possibility of forming a coalition with openly pro-Russian Communists and ultranationalists. The number of seats that individually took part in the Parliament of the Communist Party of the Czech Republic and Moravia and the Freedom and Direct Democracy party is not enough to form a coalition with the Babish party. The "red-brown" coalition with the participation of Communists, "Freedom" and ANO 2011 is theoretically possible, but in practice it is unlikely to be viable. Babish needs partners who are able to negotiate, balance between the West and the East. Radical Eurosceptics can prevent this. Perhaps we will see the formation of a parliamentary majority between the party ANO 2011 and the "Civil Democratic Party". In this case, other parties will remain outside the coalition. It is not necessary to exclude other combinations of the coalition, if the leadership of some liberal parties does change its position regarding cooperation with Andrey Babish. In any case in the Czech parliament, the Ukrainian leadership should not cherish illusions about supporting "friends" from the Czech Republic. The foreign policy of Prague under Babish will be determined exclusively by economic interests, and not by ideology or solidarity with Kyiv. The incessant internal political squabbling, corruption scandals, half-hearted reforms are also not favorable to us. Europe is tired of the Ukrainian problems that cost it too much.